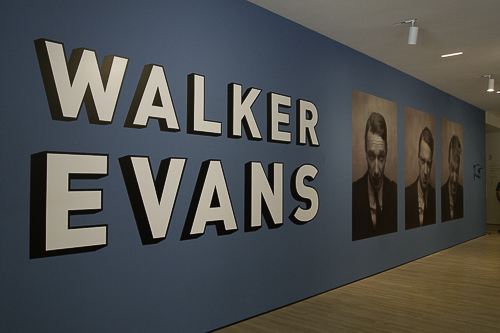 The San Francisco Museum of Modern Art opened its long awaited retrospective of Walker Evans, the only American venue for the exhibit that debuted at the Centre Pompidou in Paris. Running through Feb. 4, 2018, it includes 300 vintage prints by the photographer as well as 100 or so artifacts from his collections. 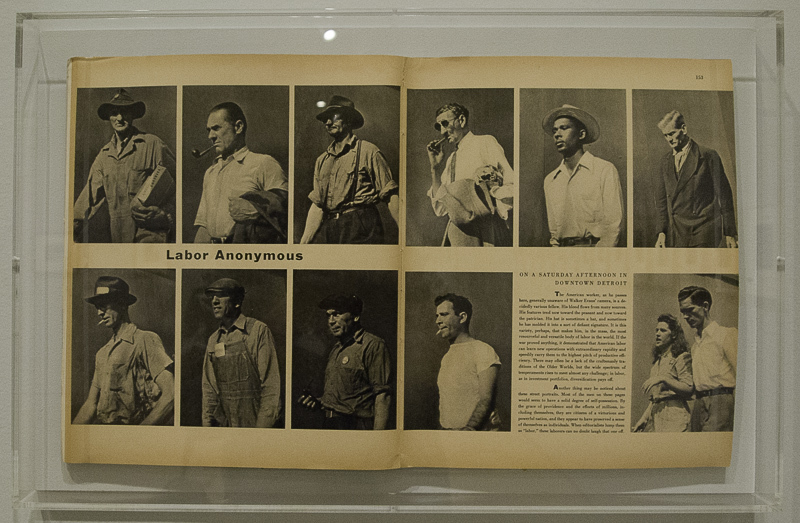 Walker Evans Exhibit. Part One takes up the new photography space. 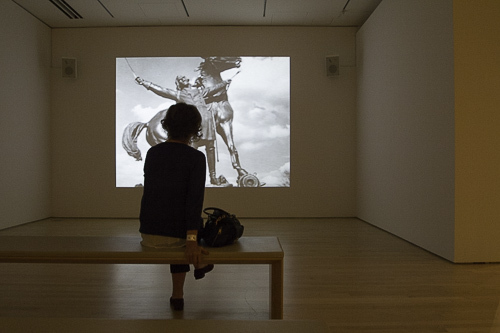 The first retrospective of Evans' work since 2000, it draws from holdings six major collections as well as private collections. And unlike other retrospectives, Senior Curator of Photography Clément Chéroux organized it by theme rather than chronologically. Clément Chéroux. 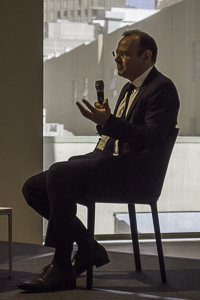 Speaking before the press preview. The retrospective, which we previewed earlier in the week, is so large that it consumes the entire photography space in both the old and new museum. You'd be well advised to stop for gas at the cafe bridging the two halves of the exhibit. 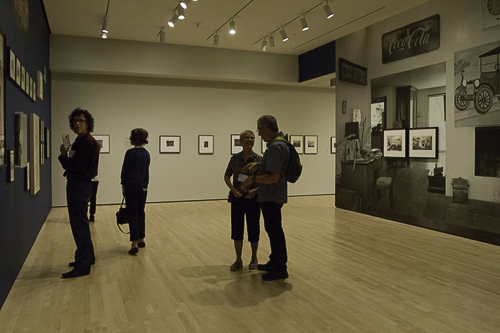 In addition to Evans' work, there are a number of interesting additions to the show, including a recording of a subtitled interview with Allie Mae Burroughs, prints by Eug$ène Atget (the French vernacular photographer), even prints by a resort photographer Evans had captured and a film interview with Evans. 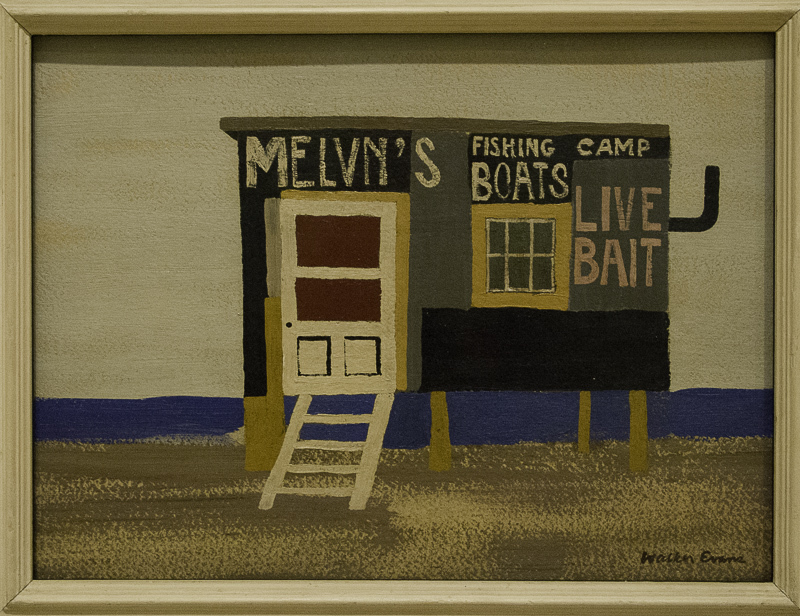 But "Evans' work" is something of a catch-all phrase because Chéroux has included not just the vintage prints but several of Evans' paintings, many items from his collections (like colored postcards and roadside ephemera) and his magazine layouts. In fact, Chéroux said in a presentation before the preview, he didn't want to display the magazine layouts in display cases on the floor but in acrylic frames on the wall. Why? 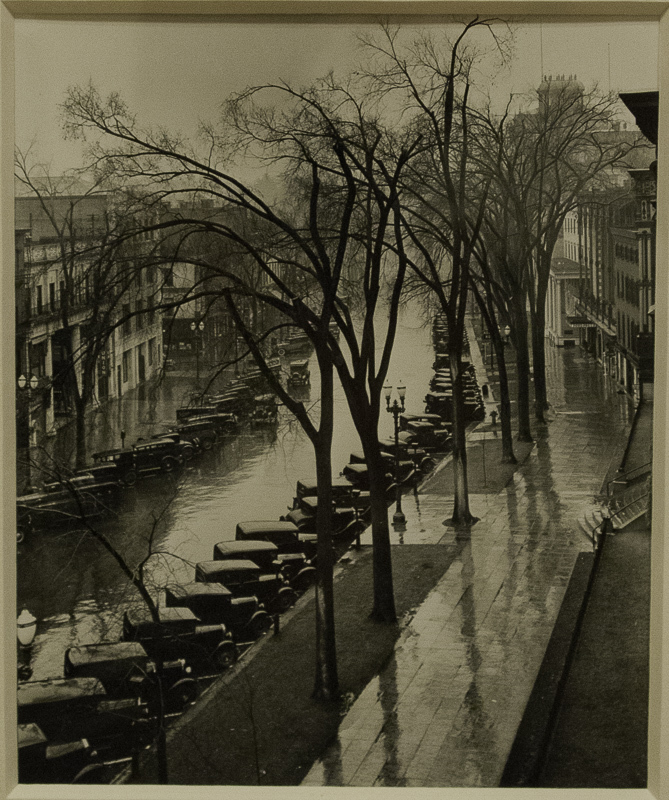 Because Evans was the first photographer to use magazines as a way to exhibit his work. And he was responsible not just for the images but the type and layout. Rooms. Prints on wall murals displayed with artifacts. 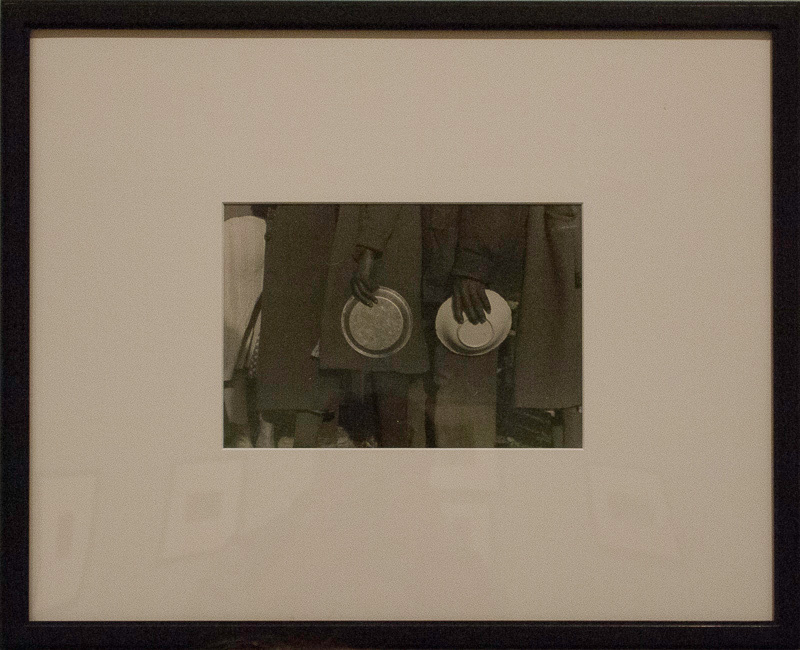 The thematic arrangement of the show highlights the variety of Evans' photographic versatility. We see him as a street photography surreptitiously photographing strangers on the subway with a hidden camera or as they cross a busy city intersection. We see him documenting the aftermath of a devastating flood. We see him doing product photography for a tool catalog. And documenting African art objects. We see architectural photography focuses on southern churches, plantations and monuments. 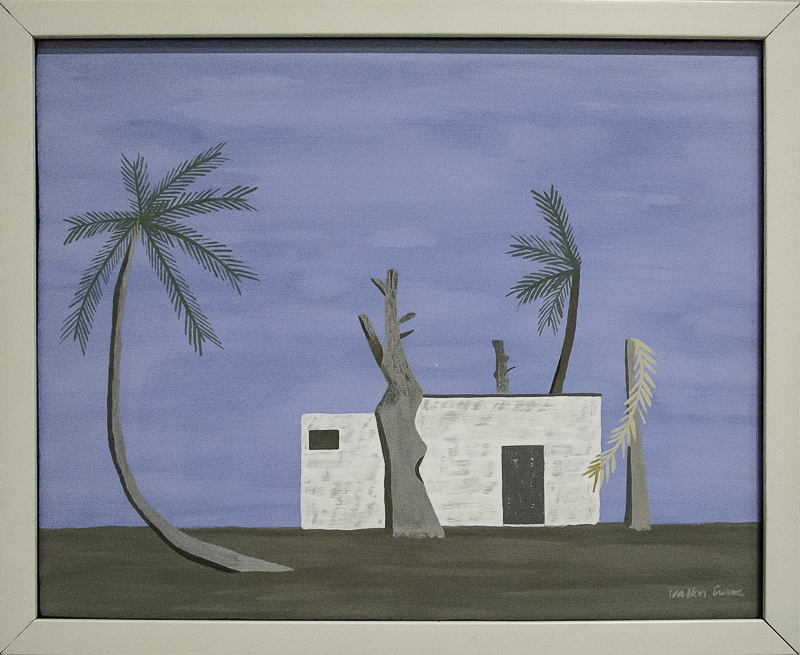 In every case, Chéroux said, he adapted to the approach of the professional while framing the subject according to his eye for the vernacular. Audio. Subtitled interview with Allie Mae Burroughs. "Vernacular" is a tricky word and it clearly means more to Chéroux as a European steeped in class culture than it does to Americans who, in contrast, are nothing else. 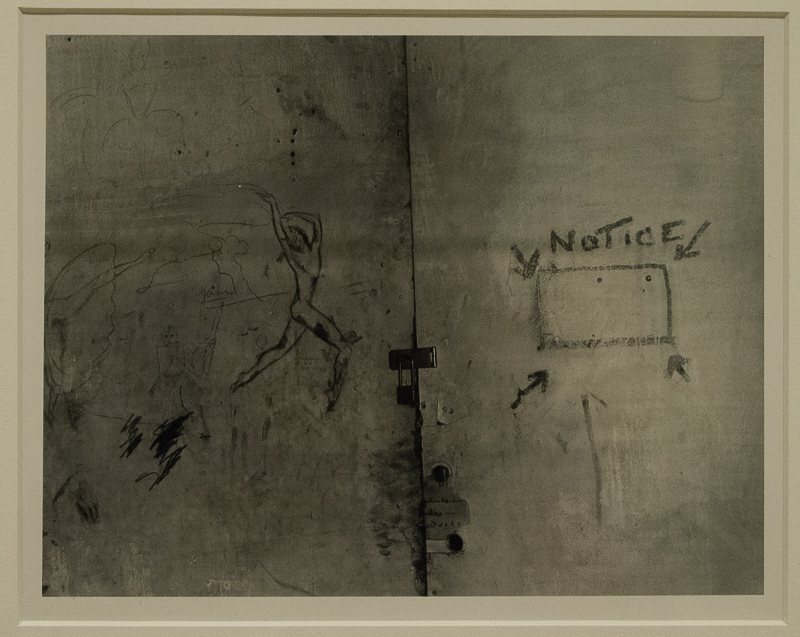 Chéroux points out that Evans' father worked in advertising and Evans was tuned to billboards, posters, roadside advertising (which he often absconded with after photographing in place). This was not the "high art" of the black-and-white masters from Adams to Weston trained on a winter storm in the Yosemite Valley or the vuluptuous curves of a green pepper. It was, instead, the pursuit of the common, the ordinary, the everyday. The face passing your in the crosswalk, the hat behind the newspaper across the aisle on the streetcar, a storefront you might pass twice a day. They were not all monochrome either. Lightboxes in the exhibit show scans of his color slides for two assignments. And there are a few color prints, as well, of junkyards, of course. 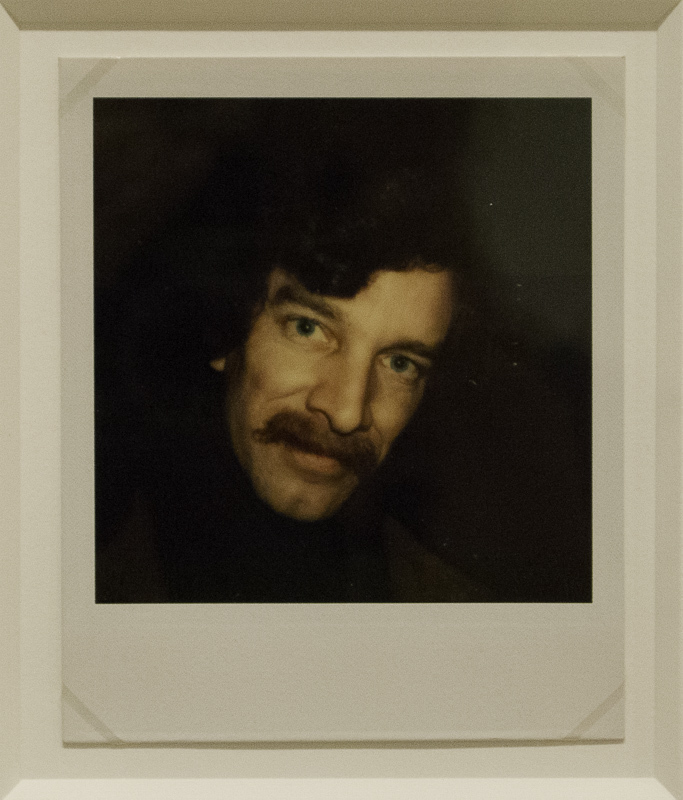 The last three years of his life Polaroid gave him all the SX-70 film he could use for that revolutionary instant camera and he made use of it to make color portraits of the people he knew. 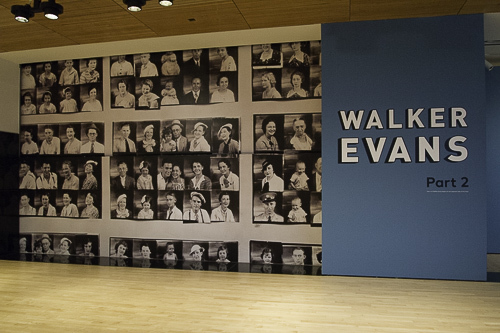 Walker Evans Exhibit. Part 2 continues in the original photography galleries. 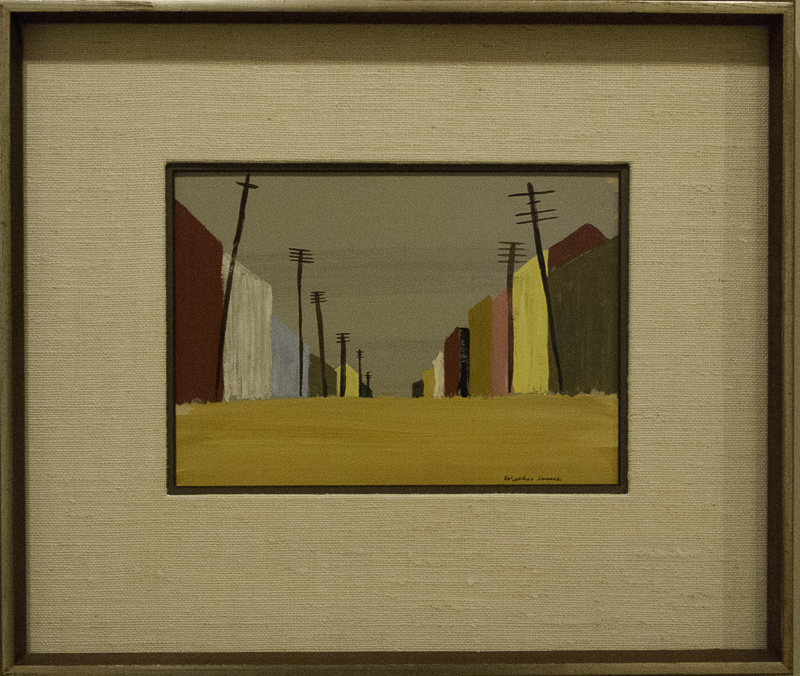 Chéroux said that the first part of the exhibit shows the common subjects that interested Evans, including the signs, the buildings, the vitrines, the people (no celebrities). 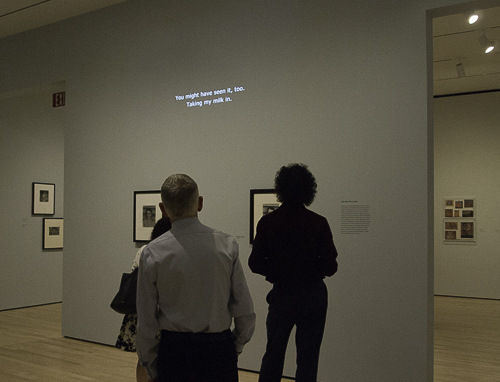 The second part of the exhibit shows how Evans developed his interest in the common into a photographic style and method. When Evans was making photographs, he was always trying to do it as if he was a vernacular photographer. 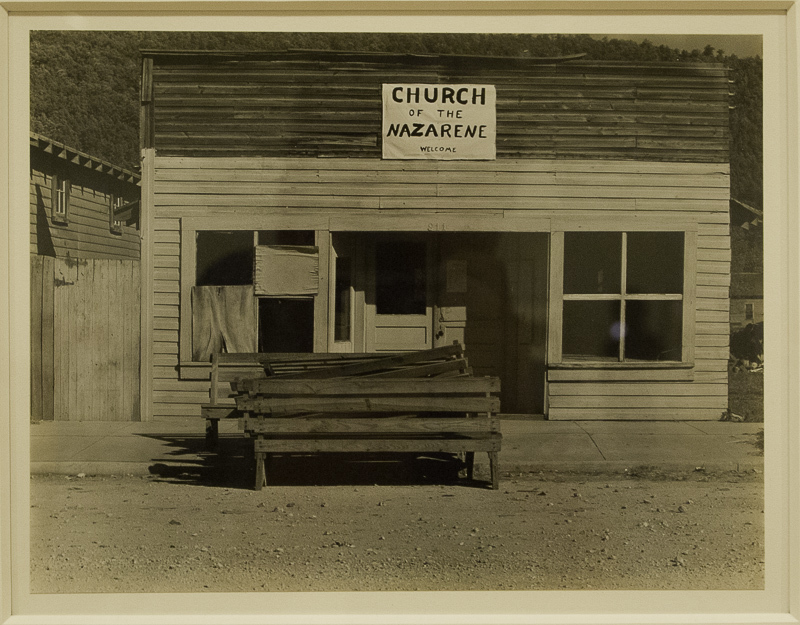 Meaning, when he photographed American churches, he was photographing them as if he was an architectural photographer. When photographing small-town Main Streets, he was taking the photograph from the ame vantage point as a postcard photographer. 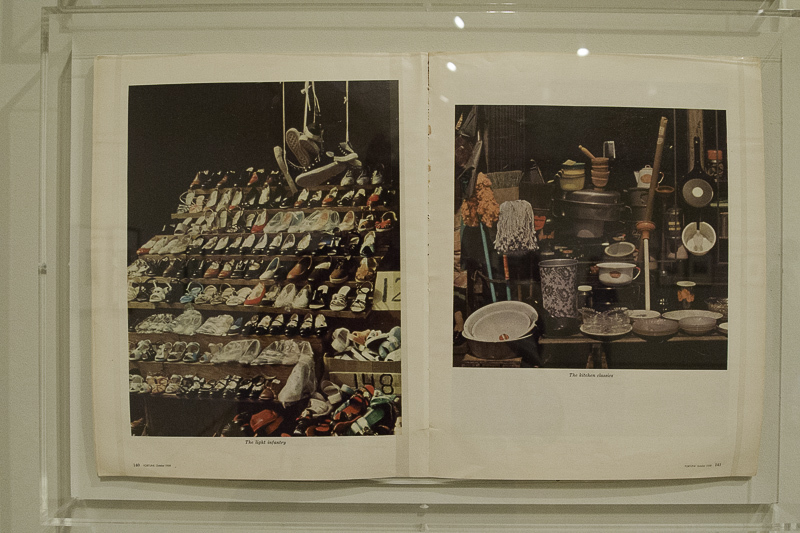 When he was taking photographs of tools, he did it as if he was photographing them for a catalog or manufacturer. The heart of his work is mimicry. He is not playing the artist, he's playing the vernacular photographer. And this is what is quite difficult to understand, of course, because he was doing that as an artist. 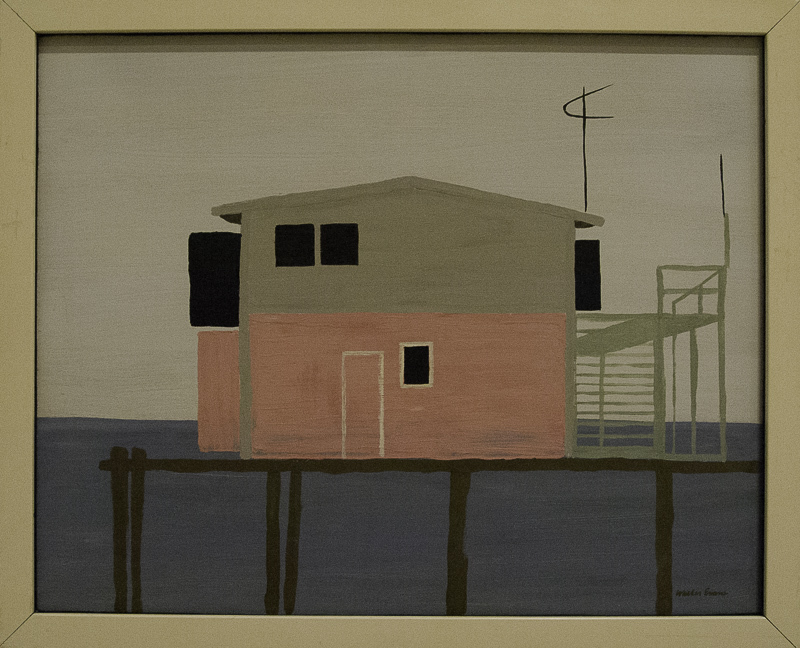 Walker Evans Exhibit. Ends with a film, here showing his Vicksburg battlefield monument. 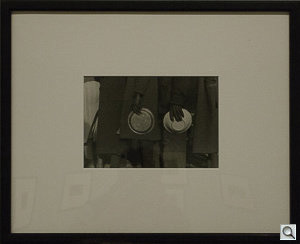 This fascination with the common and the approach of the ordinary photographer to his subject was possible for Evans perhaps because he traveled to Paris as a young man. His time abroad gave him a different perspective on his homeland. He became absorbed in Parisian life, attending the Sorbonne (the exhibit includes an essay he wrote for a class) and translated Baudelaire (the exhibit includes the Met's copy of The Double Room. 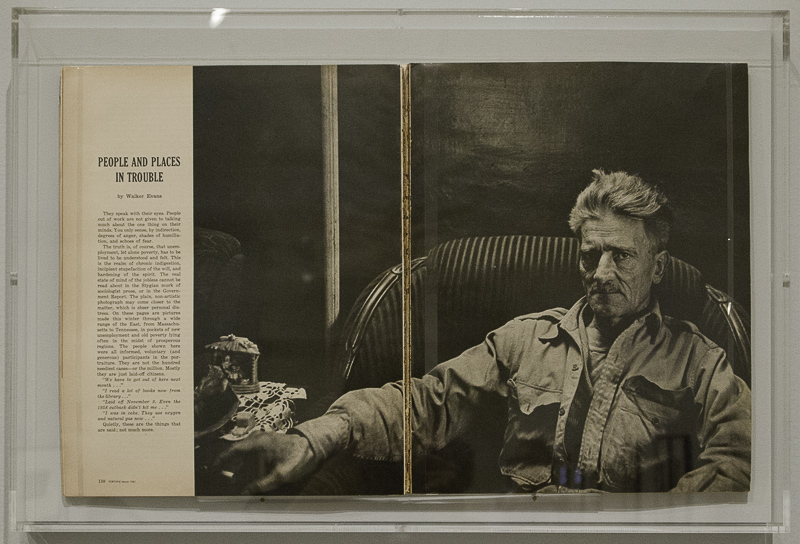 In fact, there was a literary side to Evans that the show manages to include via his magazine layouts. 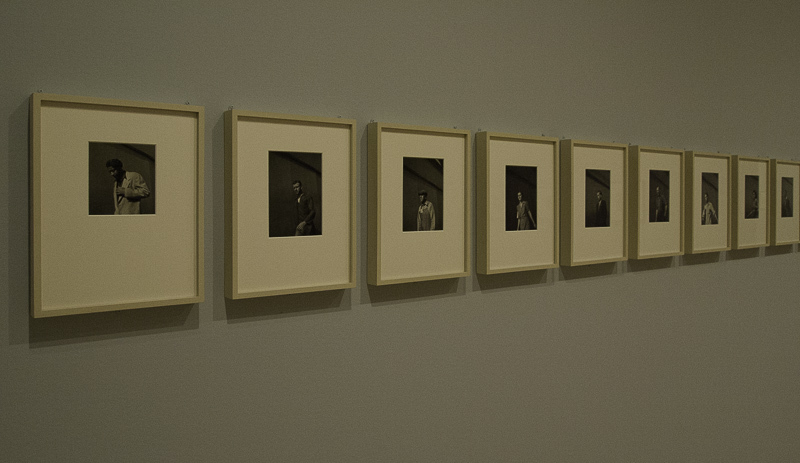 He often wrote a short preface to accompany the photos and you can read them in the spreads displayed on the wall. 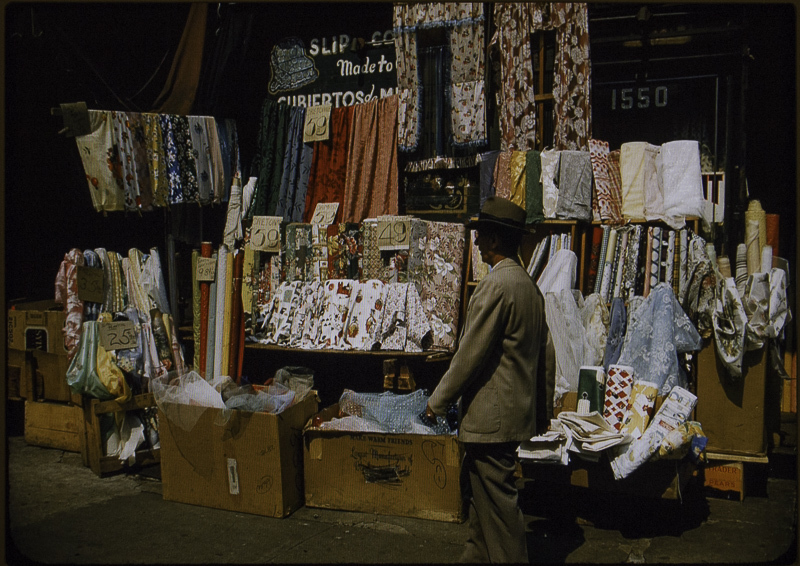 A man needn't travel to the Andes, strapped to his color camera, to relish the sights of outdoor markets. There are American sidewalks, like these in New York, that spill with them. 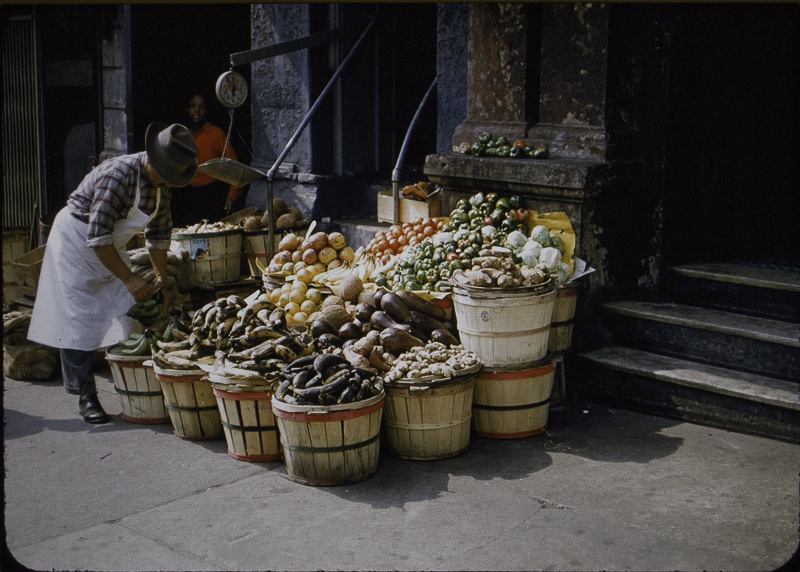 They can look and smell much like market places anywhere, from Naples to Tehuantepec to Nairobi. The stay-at-home tourist, if his eye is properly and purely to be served, should approach the street fair without any reasonable intention, such as that of actually buying something. The cut-rate whistling kettle must sit where it is, along with the mops, the sneakers, the crockery, and the petticoats. Does this nation overproduce? If so, one can get a lot of pleasure and rich sensual enjoyment out of contemplating great bins of slightly defective tap wrenches, coils upon coils of glinty wire, and parabolas of hemp line honest and fragrant. A man of perfectly good sense may decide after due mediation that well-placed eggplant (2 for 27 cents) is pigmented with the most voluptuous and assuredly wicked color in the world. There are other delights. Why is it that there is always something comic about a sash weight? What is as dependably entertaining as a really enthusiastic arrangement of plumbers' tools? Honest and fragrant indeed. 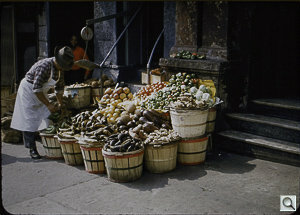 Walker Evans to a T.
Walker Evans was (still is) a major gift to us all. One of my best photography mentors. Can't wait to get to SF to see the exhibit -- thanks for posting.